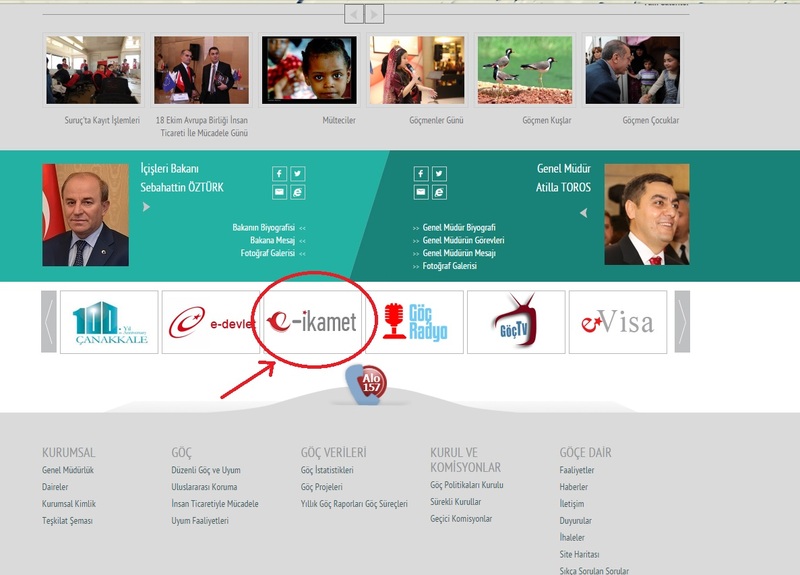 As we posted already, there is a new online randevu system since may 18, 2015 – which you should use if you want to apply for Residence permit (ikamet) in Turkey or make your existing one renew. Here is step-by-step short tutoral which will help you to understand some details better. ( some of our example photos are for istanbul, but you can apply it for other turkish provinces as well). 2. After you press this icon, you will see 2 buttons: left one – for first application or for changing type of Residence permit (ikamet) and the right one – for renewing your existing Residence permit (ikamet). Also for your convinience, you can switch language to English (small buttons at the up right corner). 4. Next page is a long form you should fill in. Turkish name of it is İkamet beyanname formu. The fields marked with dark-red letters have to be filled in, and other ones with black color of letters – are optional. If you are a first type applicant, leave empty the field Turkish ID number – as you will get this number after you get your ikamet. 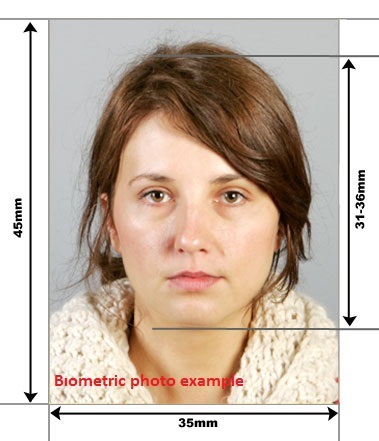 Make sure you have ready an electronic format of your biometric photo at the time of your application filling in process, as you will need to upload it. Without photo system will not let you pass to the next step. All application form is in English so it is easy to understand which info to write down and where. Be aware that if you apply for Family type of Residence permits (ikamet) – also system will ask information about your spouse (or your info if you apply for your child). For sure your own page will include only your fee you will have to pay according to your citizenship. Place of application (randevu) system will determine automatically as you were writing down your turkish address into the application form. If you have randevu date which you have taken before May 19, 2015 you should make its renovation in system – for that purpose you will have special field where you will choose date and time for your existing randevu. 7. After you finished with your previous page, your appointment will be scheduled and you will see the final page reminding you which documents you should provide, how much fee you should pay and your randevu date, time and address. This page includes your personal randevu number, list of documents and fees. You can pay your fees at dıstrıct Vergi dairesi (tax office) or Ziraat bankasi. There is a link for your Ikamet application form marked with blue color – you can press on it to be able to save your Ikamet form you just filled in before. You need to print it out in color and sign by hand. If you need information about which documents you need to make ready and how, you can follow our website main menu Residence permit (ikamet) and Documents. We would advice you to fill in your application form at desktop or laptop, or if you use tablet – make sure you have Adobe reader on it as your Ikamet application form (Ikamet izni başvuru belgesi) which you will save and print out is in PDF format. For now, system just started its work so there is a chance of some bugs and errors in it. If it shows you some mistake pages or calculate wrong rates for your application fees, we would advice you to wait for a while and try again later. I hope all errors will be fixed soon. It will be very precious if you will share your own experience with this new system – you can do it here below in comments or at our Facebook official page stayTURKISH for english speaking comunity in Turkey . 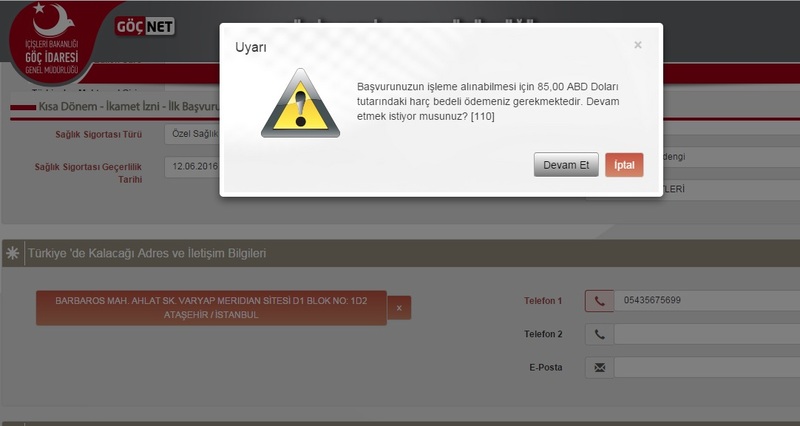 I have been trying to renew (Uzatma Başvurusu/Application extension) but every time I enter my information error  pops up. It says that the system cannot find my information. I’ve been to the Police station and they tried to help me get an appointment but they, too, received the same message. Might this be one of the many fun “bugs” of a new system? Is anyone else suffering from the same or similar problems? I have a problem, since I am unable to find my Turkish address in the system. Who can I contact to ask how to proceed? I have a problem : after completing the formu, I want to take the randevu, but the final window is completely blocked I can neither find my former randevu neither take a new one or click on devam et to make it think a bit everything blocked. Someone already had this problem ? Is it a bug of the website or from my navigator since no one complained about it ?? I took an appointment but could not save the last file and print but I have only application reference number. How can I print it again ? Any ideas ? For now system doesnt give that option. You will need to fill in all again from beginning and save all files and info while application. If you read article where you are commenting now, answer for your qestion is there as well. Hi! I have a question. I want to make touristic resident permit for a year, first time application. Should I choose short term or long term???? thanks! Hello! Yes you can apply for ikamet as long as you are in turkey by valid visa. You should apply online before visa expired. It will be Short term ikamet for real estate owners, granted for 1 year with the right of extension, you will have randevu to go and submmit your documents. I have accidentally inputted a misprint to my new address to where I will move in the application form online. I would like to amend this if possible,also there was a problem when I clicked on the link to print and save. It did not save nor give me the whole form to print, just confirmation page, then it vanished. Is there a way to re-print or not? I am trying to arrange an IKAMET appointment via the e-ikamet.goc.gov.tr website. However, what I notice is that the actual web form looks different than described here. When I open the website, I click on “First Application”, then have to confirm that I read all the background information and enter the verification code. Then next, I have to choose the city (Istanbul) and confirm that I did not have an appointment before May 18. After this, I get immediately to the site where I can pick an appointment time. I do not have to enter any additional information or upload a photo, as described on this website. On the page where I can select an appointment time, all dates seem to be already fully booked. There is not a single appointment available within the next two months. I have been trying to get an appointment for a week now, but every day all the appointments are already gone. I would be grateful for any advice! thank you for your information, I will check it as well and will make updates – I guess recently they changed the steps for application as before appointment date was after the exact application. As for trying to catch the date and time – they put few new avaliable times almost everyday but you should follow the website often as randevu quantity is limited and there are LOTS of foreigners trying to get it. You may try early in the morning and late night, also day time after 3 or 4 pm. I hope it will work at the end. I need your help, I have ogrenci ikamet which will finish on 15 September, but as my student status is expired I need to make turistic ikamet now. I am trying to take randevu but there are no empty appointment days so I am really worried how can I take randevu before 15 September? I need you advice. hello! Yeah this is kid of challenge to hunt the avaliable randevu = All I can advice is you need to check again and again as often as possible especially morning hours and after 4pm. They add usually everyday new avaliable dates but as there are many of foreigners try to get it – you should be fast. there is no such an option online for now, all I can advice are: 1. Take new appointment again 2. There is ikamet randevu assistance office near Goc idaresi office at Vatan (if you are in Istanbul) and they do help sometimes in such situation for some fee. I know some foreigners use their service. I have a residence permit for turkey, which expires on the 11.9. As I have been in Denmark for the last 8 weeks I was not able to extend my residence permit (r.p). I am moviing back to Turkey on the 20.9. How can I extend my r.p if I am not in Turkey? Might there be Problems to enter as a tourist-but with an expired r.p? hello, sorry for late answer, you can enter Turkey as a tourist and then apply for the extension – but I guess system will not let the extension application process because of expired ikamet. If it will be so – you can just apply as a new application. I didn’t print the form, (same problem as in privous comments), I made a new application as you recommended. You can not renew old ikamet as it was expired. You can apply as a new application according to your aducation as a student ikamet. Your university suppose to provide guidance for their international students about the details of application. I completed the ikamet application, but it did not show me the documents. Secondly, I was not given a link to print a page, so I don’t have a document. Is there a way to review my application and repeat the document? If I marry witha Turkish citizen anyeay l have to choose “Short term” ?? It’s been a week since the first time i tried but no hope. most days It’s full I can’t even get to the form I have to stay up till morning but again the same error. any suggestions? unfortunatelly for Istanbul foreigners this is kind of nightmare and everyone has similar problems about dates. As for error, I have no idea why it can be, as Im not a web developer, but I would advice you to try different browser – for example Explorer – may be it will work better. I didnt understand what you mean – your family visa will expire ? If you mean you already have family ikamet – so you dont need randevu – you need to use extension option (read more info about it on this site). But if you just have still regular visa in your passport only – and no ikamet yet – then you should try everyday to catch the date – early morning and very late night – they open new dates but too much people wanna get it so you should be fast. I mean that my family has arrived using visa and here we have to apply ikamet. I am looking for dates but they are always occupied. So I was thinking of alternative or otherwise the exact time when it will be open. Moreover, I was told at VATAN that they don’t require health insurance for children under 16 years. I am a student here doing PhD and supported by health insurance by SGK – government. Will my son will be covered automatically under my scheme or i have to take his insurance separately. Please advise in both cases. Also, some people have told that people at VATAN are also giving away ikamet forms at some cost i.e. 50 TL. And therefore they fill up all the form through some software and selling it in black. I am not sure about it but I heard from many people. And your another question about SGK – yes your SGK covers your family members as your spouse, children and your parents. But you can start to use SGK medical insurance only after you got your plastic ikamet card already and sign up with it at SGK office personally for each family member. For randevu you will need just an official document from SGK office that you have a coverage and it will be avaliable after all of you got your ikamets. More detailed info about sgk you can read at our website. I’m having a lot of trouble getting my wife’s and son’s residence permit randezvous from (e-ikamet.goc.gov.tr). What is complicating the issue is that she needs to go home because her grandma is on her deathbed. But she doesn’t have any time left on her tourist visa (she is on day 92 of 90 days) so what should we do? Is there any way you could find out of she can come back into the country after she returns from the States? Any help would be appreciated. I have no direct connection to migration office, but I may give you few variants to evaluate. One of them is just go to US and when while coming back on turkish passport control to state that she gonna apply for residence permit within 10 days, as there is a legal option of this. And some foreigners use it, but I may not give 100% garanty about it, but you may ask about it at airport migration office or on border while passing passport control. Another, more safety way is just apply for visitor visa at Turkish consulate in US, to be able to enter the country. Asalamun alaikum please I want to go out of Turkey and inshaAllah come back but my problem is that I have the old ikamet and it expires last year February and please I need your help about if I can buy a ticket and go out of Turkey and come back with new visa? and will I pay for any penalty for not going out of the country after my ikamet expired last? Asalamun alaikum thank you all for your wonderful help to we foreigners. as your ikamet expired – you can buy ticket and travel from Turkey but at customs at airport you will need to pay penalty for all days you overstayed after your ikamet expired. If you will not pay it, you will get deport stamp and you will be forbidden to enter Turkey for certain time period (length depends on officer decision). I can not tell the certain amount of penalty you will needto pay but there is a migration office at airport so you can find out there. Have a safety trip! I have been trying to get the online apointment for over one month. It doesnt work. I dont know what is wrong. I have heard that some places near Göç idaresi get 50 TL and give you an appointment document. Is it true? Where are these offices and people? I really appreciate your help and attention. Yes – I’m having the exact same problem. 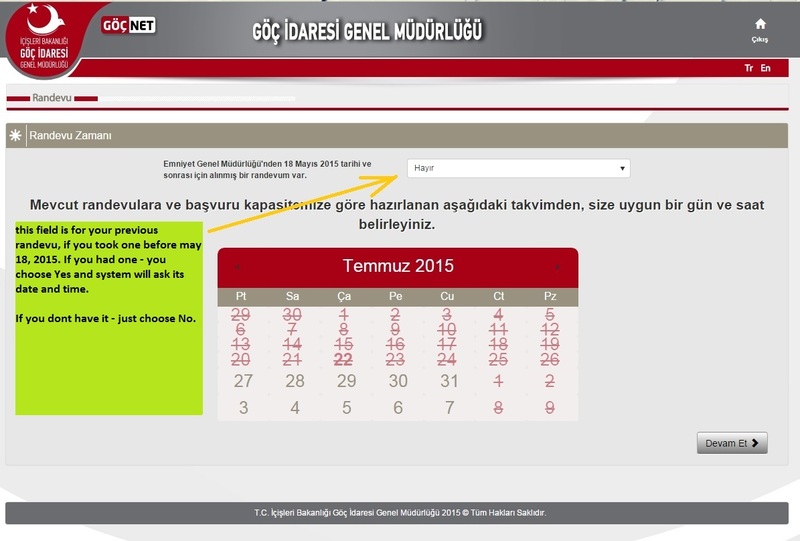 I’ve been trying for a full month to register for an appointment in Istanbul on the e-ikamet page. I try early in the morning, late at night – it makes absolutely no difference. I am not even shown a calendar or dates to choose from because everything is booked for months, apparently. So – I have limited days left on my 90 days, and desperately need an appointment! I’m a first time ikamet applicant. How can I possibly make an appointment? Should I just show up in Aksaray? Is there anyone else who can help me? I’ve got all my documents – I just need an appointment! Hi, I would like to know if one can apply for first time short term residence permit in a different province to where one lives. For eg if i live in ankara can i apply in istanbul or bursa for permit. you can apply only at the same city and province where you are registered at nufus dairesi as your address – also your ikamet will be delivered at that address and you have to get it personally with your sign at delivery papers. Hey please i urgently need help I would like to know what should i do every time i am trying to book an appointment in Istanbul the website says there is no available dates check after 90 days ??? what should i do and my visa will expire after one week ? Hello thank you for the Web site. It’s 110 days that I am in Turkey and my Rendevu for application it’s in 3 month. Can I go to France and come back for continue my visa application ? © 2015 stayTURKISH. All rights reserved. stayTURKISH was created with informational purpose only, doesn't provide any official legal advices which users and visitors can appeal to while official legal process. stayTURKISH создан только с информационной целью, не предоставляет право использования пользователями или посетителями сайта в любых юридических целях.